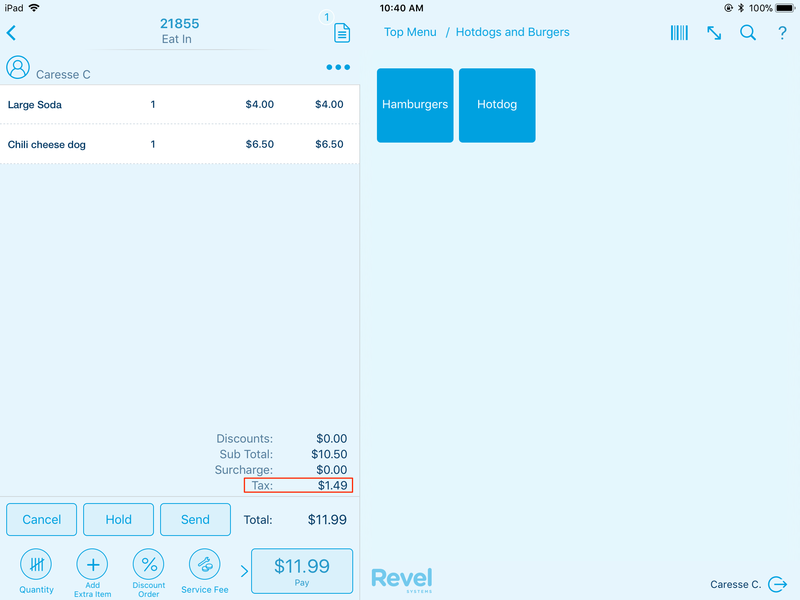 Revel's Flat Tax feature gives you the option to charge additional taxes by volume. For example, if your State charges a tax for an individual cigarette, you can apply a flat tax to each unit in a box of cigarettes. 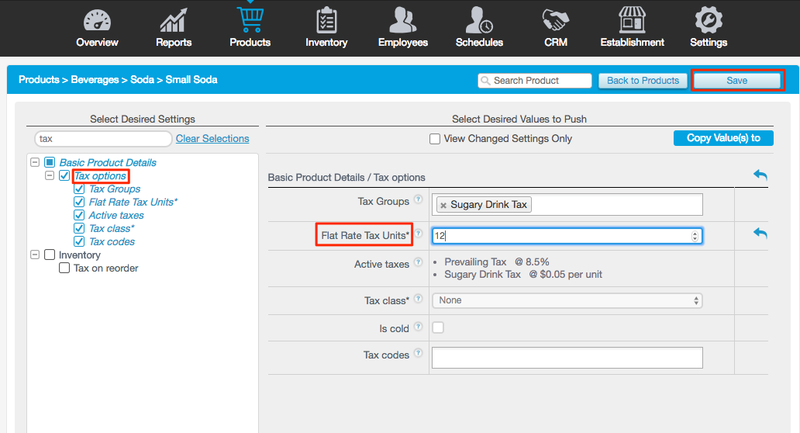 To charge a flat tax, this feature must first be enabled in the management console. 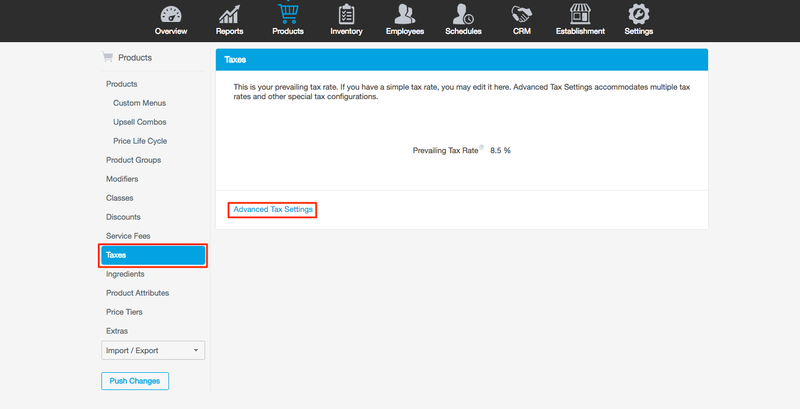 On the products tab, navigate to Taxes then select Advance Tax Settings. Next, select Flat Rate Taxes. 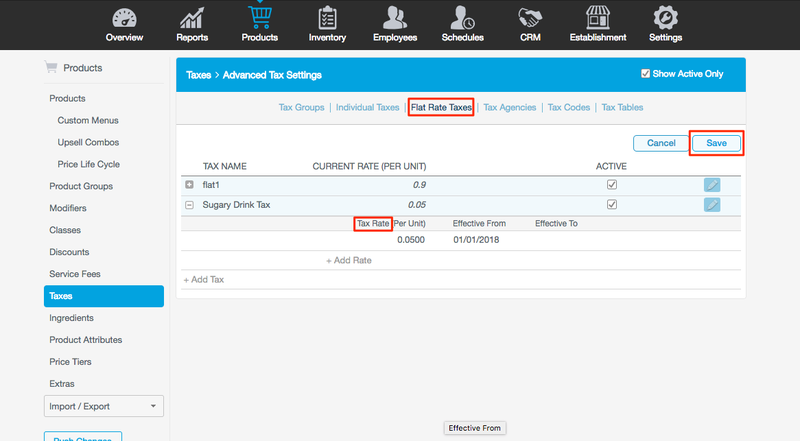 Enter the desired name and tax rate(per volume or unit). For example, if charging $0.05 per ounce of soda, enter in 0.05. Add an effective date. Then Click Save. On the top of the page, click Tax Groups. The tax group should contain all items that the flat tax applies to. Under included taxes, check the box for applicable taxes. Then click Save. Next, navigate to the product details. Under the taxes section apply the corresponding flat tax units. This number is the value that the flat tax rate will be multiplied by. For example, if the flat tax is $0.05 per ounce of soda, and there are 12 ounces in this item, you would want to set the flat tax unit to 12. Refresh the Point of Sale before using flat taxes! 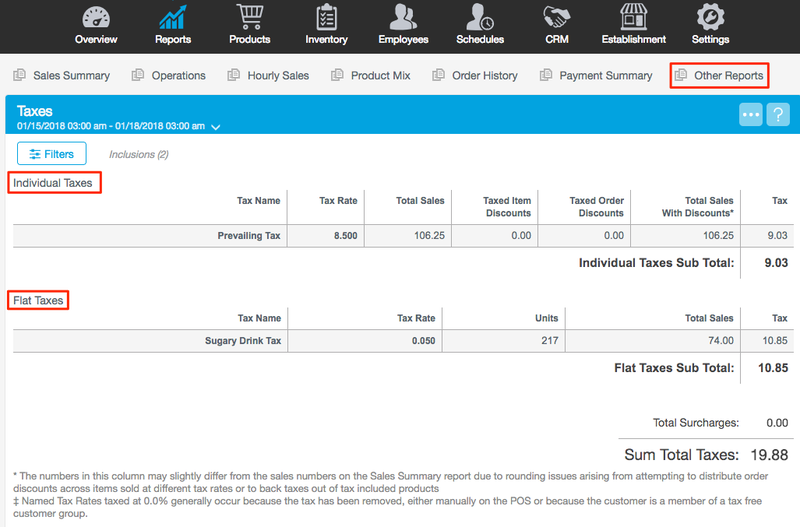 After making sales, Revel's robust reporting makes it easy to analyze taxes. 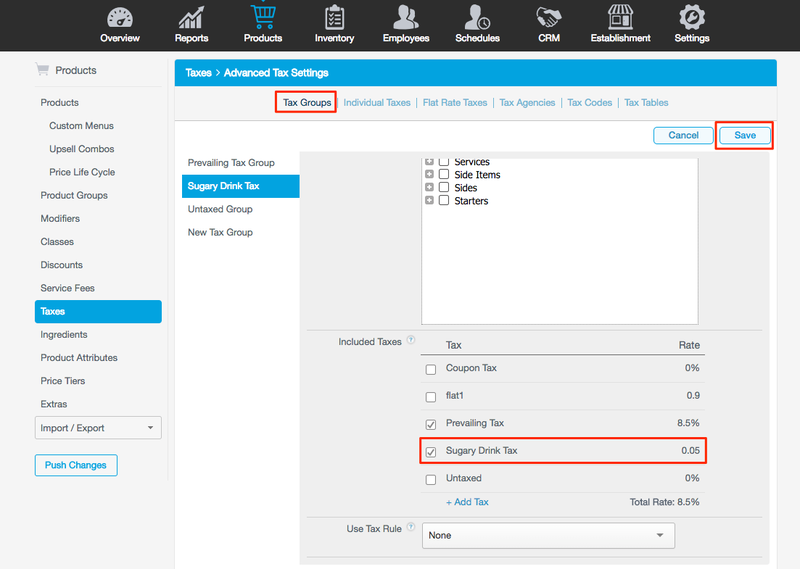 When the item is sold, the amount of tax will be recorded against the product. Navigate to the reports and select Other Reports. Then select the Tax Report. It's also important to note that flat taxes will not be reduced by discounts.